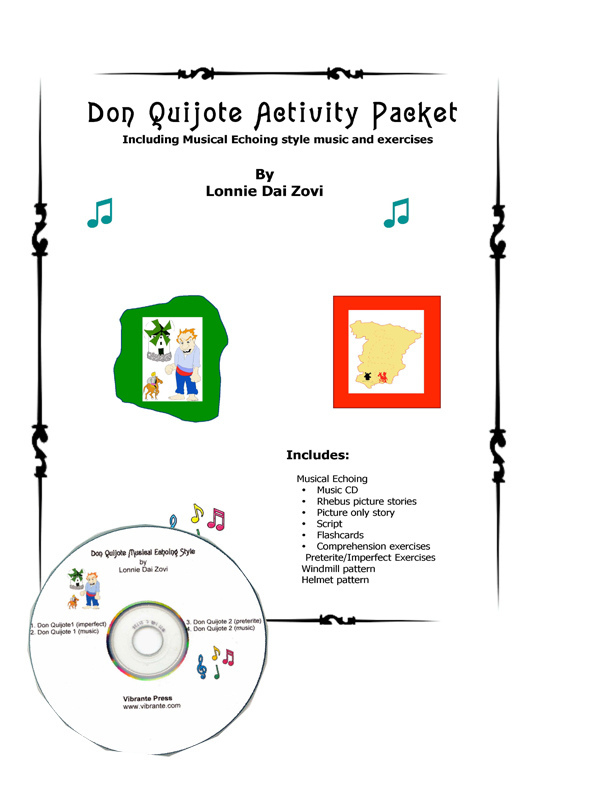 Don Quijote Musical Echoing Style offers a unique way of teaching Don Quijote as a deep linguistic opportunity, as a fun overview and review to supplement your reading unit, or as a brief introduction only to the concept of Don Quijote. The language used is for intermediate learners, but at any age. Of course, as with any Musical Echoing lesson, pictures are used extensively as is music. The CD has 4 tracks containing two story/songs accompanied with exquisite flamenco music (which is featured on the other two tracks as karaoke tracks for teacher’s or students’ own creations.) One story/song is mostly preterite, while the other is mostly imperfect. 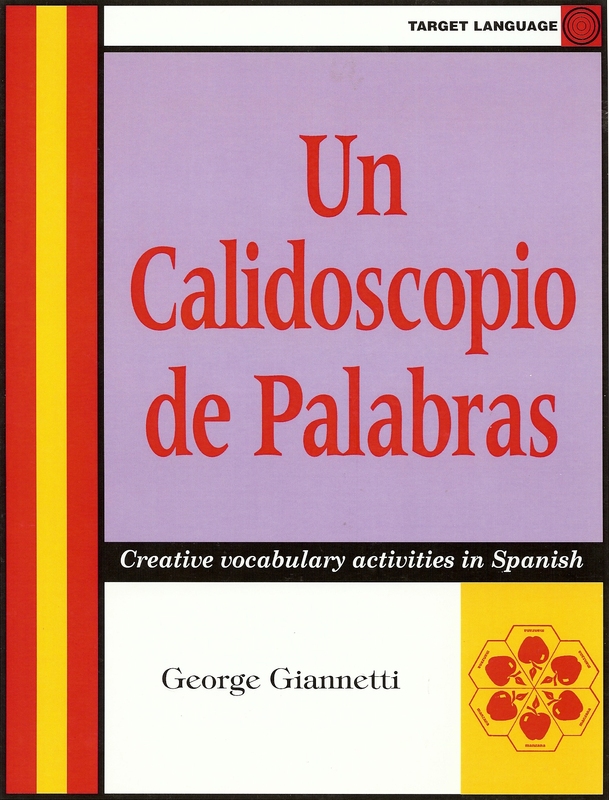 Besides the CD, the packet contains the worded scripts, picture and word scripts, picture only scripts, flashcards, grammar and comprehension exercises. Also included for added fun are patterns for easy windmill making and Don Quijote’s basin/helmet. For a detailed explanation of Musical Echoing procedure, check on this website under music, Musical Echoing. I will soon have a video showing a little bit about this product. I used this with my Spanish 3 students, one story/song before we read the book, the other afterward. I also assigned groups to make up a story/song about one of D.Q's adventures to assess understanding.